Toon's Tunes : Stephen "Ragga" Marley, Jo Mersa Marley too... One Love!!!! Stephen "Ragga" Marley, Jo Mersa Marley too... One Love!!!! I don't know anyone who doesn't recognise the Marley name. 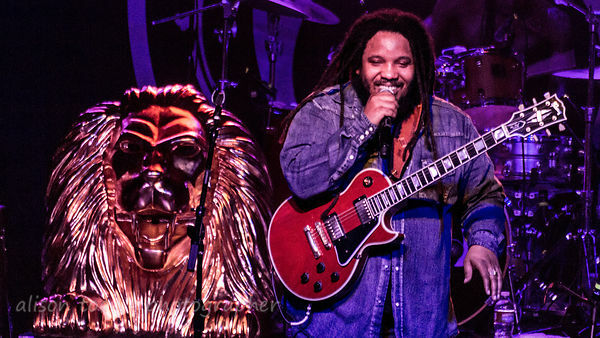 We've been really lucky here in Sacramento recently: Ky Mani Marley a couple of weeks back at the State Fair, The Wailers at the Ace of Spades next Wednesday... and this Monday, multiple Grammy winner, Stephen "Ragga" Marley was in town, bringing his eldest son, Jo Mersa, too! 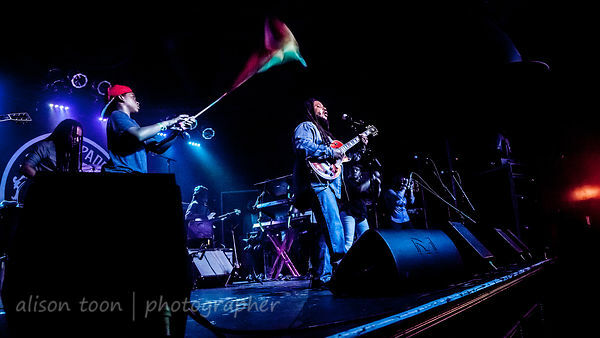 Stephen Marley's show ranges through smooth reggae, ("Do you like reggae music??? "), one or two covers of his father's songs, some soulful-almost-R&B, and very energetic Dancehall. It was the really upbeat part of the show that I loved the most... but reggae is my happy music. A special shout-out to the young man who was the flag-waver on Monday!!!! (The show was not my easiest-ever to shoot. Almost zero light, and what light there was, wasn't falling on Mr. Marley... so the pics are rather, even, more grainy than usual! The tour continues with several dates in Europe, then back to the USA. 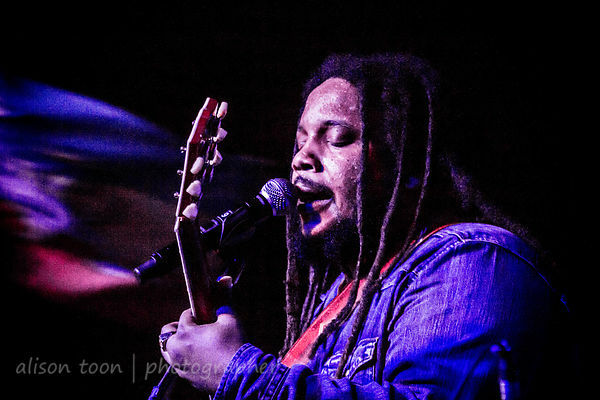 Find all the dates here and more info on Stephen Marley's website tour page. 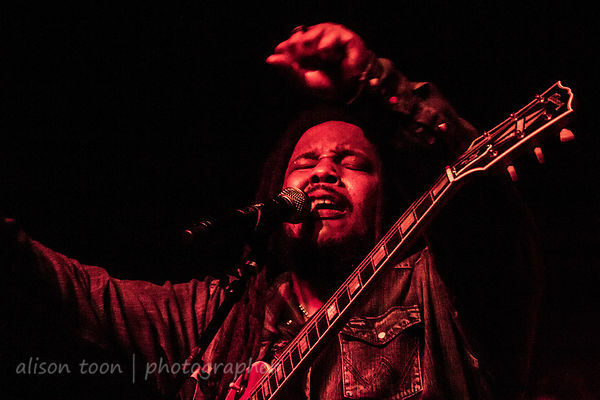 All the photos from Stephen Marley's show at the Ace of Spades can be found in the Toon's Tunes Stephen "Ragga" Marley photo gallery (or just click on any one of these pictures). 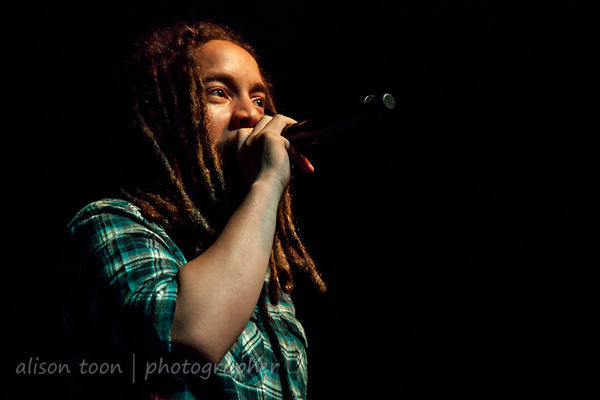 And all the Jo Mersa images are in the Toon's Tunes Jo Mersa Marley gallery-click here!